Understand the core operating principles of a high reliability organization and the informatics knowledge and tools that are used for successful implementation of clinical IT interventions. Using these information tools and knowledge, Memorial Hermann has been creating an environment of high reliability that benefits both the patients and the clinical staff. During this lecture, detailed information on the implementation methodology will be presented with examples along with a methodology for using data to define and measure success of the implementation. After obtaining a medical degree from the University of Mysore, India and working as a primary care physician, Siraj decided to pursue a full-time career in informatics. 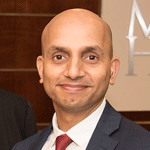 As Associate CMIO, Siraj co-manages the informatics operations across the Memorial Hermann Health System. With a primary focus on People, Process and Technology, Siraj is passionate about leveraging information technology and human relationships to provide patient care that has high quality and high reliability and has been doing this since 2006. His personal interests include playing sports, exercising, and carpentry.